About the Company | Fischer Equipment Ltd.
Fischer Equipment, Ltd. was founded in 1937 by Frank P. Fischer, as a product sub-agent of F. J. Evans Engineering Co. of Birmingham, AL.The early efforts of the company were selling and applying gas combustion equipment to commercial and industrial markets. 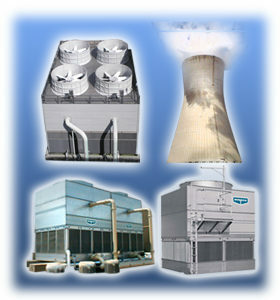 By the late forties we were handling packaged boilers and in 1950 we began representing Marley Cooling Tower Company. In 1955 we were incorporated as “Frank P. Fischer Engineering Company, Inc.” In 1979 the company name changed to “Fischer Engineering, Ltd.” Fischer Engineering relocated from it’s original location on Maple Street in New Orleans to 1200 Monticello Avenue, Jefferson, LA 70121, in 1979. In 2017, the company relocated to 2000 Preserve Lake Drive, Suite A, Covington, LA 70433. Fischer Equipment, Ltd., is a Subchapter C Corporation. The corporate officers are: Chairman-of-the-Board: Frank P. Fischer, Jr., P. E.; President: Steve Fischer and Vice President Mark Scheuermann. All officers with the exception of Frank P. Fischer, Jr. are outside salesmen. Fischer Equipment, Ltd. has throughout its history maintained an excellent reputation within the industry of providing quality products at a fair price. We have won the trust and confidence of consulting engineers, contractors, owners and public agencies by standing behind our products after the sale. Engineers trust us to select the right equipment and prepare specifications. Our sales staff is experienced. Each member of our outside sales staff has been in the same capacity at Fischer Equipment no fewer than 2 years and as many as 30 years.